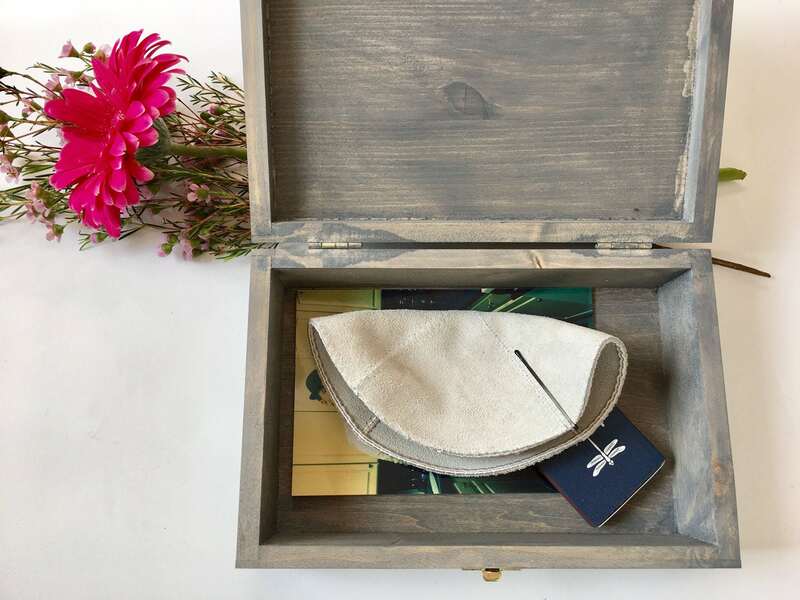 Wooden boxes have a beauty you just can't find in any other type of box. 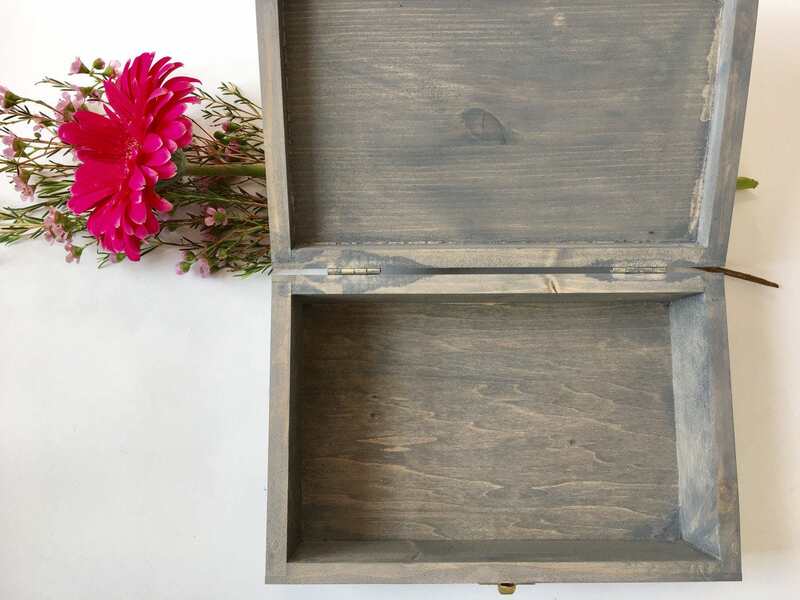 This hinged, wooden box is perfect for your most cherished, tangible memories. 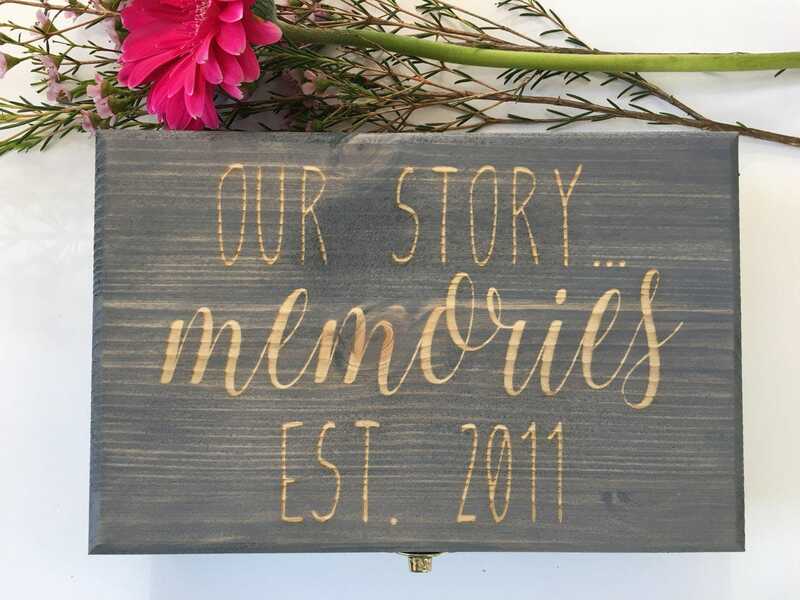 Laser engraved with Our Story, Memories and the custom year your story began. 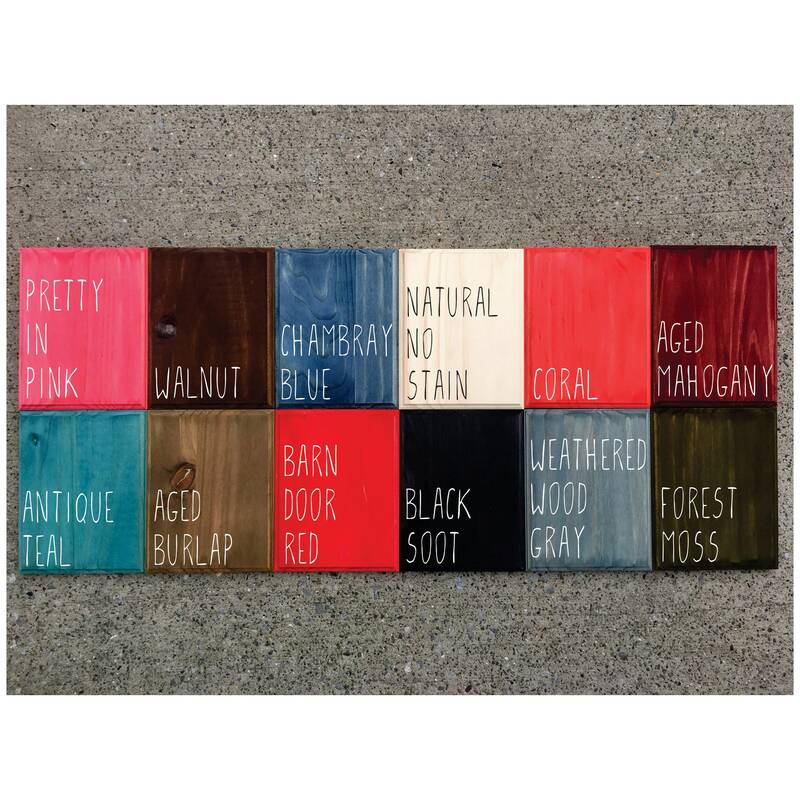 Choose from 10 different wood stains. You also have the additional option of adding a custom inscription to the inside lid of your box. It can be as simple as your names, a quote or a message to each other. 1. 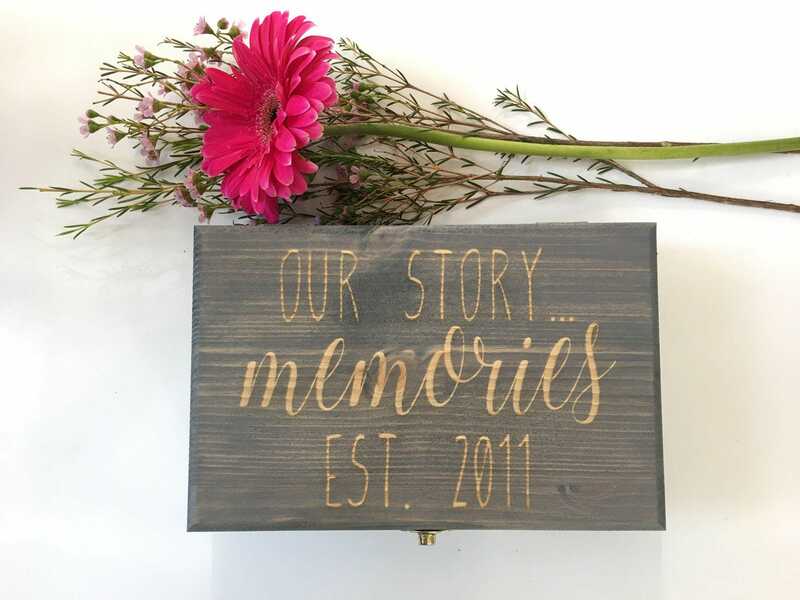 Select "Just Memories" or "Add Lid Inscription"
If you choose the Add Lid Inscription option, in notes at checkout in addition to indicating your custom year, also indicate exactly what you would like engraved inside your lid, making sure to note any line breaks. Your inscription will be engraved in the same font as "OUR STORY" that is on the top of the box.